Did You Have a Dis-Anniversary Recently? Do you ever wonder why you start feeling so sad and depressed at the same time every year? Maybe it’s around the holidays that this happens. It could be any time of the year, but every year at the same time your mood starts heading downhill. You might even have little or no energy to do anything, and wonder why this is all happening at the same time. Well, it could be because of the ‘dis-anniversary.’ That is, an anniversary of something really unpleasant in your life such as the death of a family member or other loved one. One of the leading causes of depression is grief and loss that isn’t fully resolved. If you are living through dis-anniversaries, then you probably aren’t finished grieving for your loved one or family member who has died. This then can wind up becoming full-blown depression. In any case, getting therapy help can be one of the best ways to keep the dis-anniversary from being something that winds up blindsiding you every year. We all have people in our lives we care about, and at some point those we care about will die. This creates in each one of us the potential for dis-anniversaries, no matter who we are. Even if we didn’t have people we cared about, we might lose a job or suffer some kind of major health calamity. These too create the possibility of suffering a dis-anniversary. Basically any loss that isn’t fully grieved can cause the dis-anniversary. This is all too common among folks who suffer serial losses one after the other. They have to press on despite these losses, but in so doing don’t get a chance to fully work through any one loss. Any loss that isn’t fully grieved can cause the dis-anniversary and depression as a result. 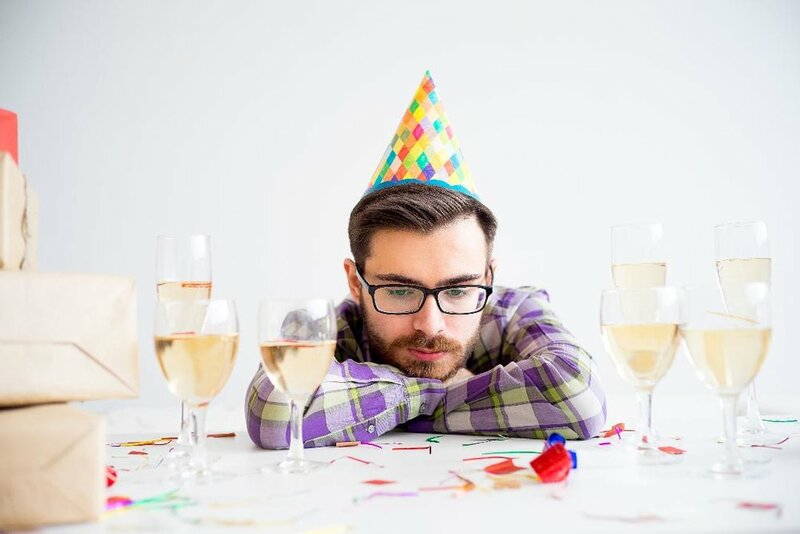 Once you suffer a loss, getting therapy help treats one of the most frequent causes of depression and then prevents the dis-anniversary the next year. Working through your grief prevents it from continuing to haunt you. There are very few short cuts in the grieving process, but depression therapy can help to give it the time and attention it deserves. If there is complicated grief as well, which is a type of grief that involves other difficult factors, such as something shocking that occurred as part of the loss, it can be even more important to get therapy help. In such cases, it’s as if you get stuck in the grief because of how many things are layered on top of it. In any case, giving the grieving process it’s due prevents it from turning into dis-anniversaries for years to come. And who wants to suffer from these?! I have helped many, many people to overcome their grief and prevent dis-anniversaries for almost 10 years now in my social work career. I’m confident I can help you, too. I have a varied array of approaches for helping people overcome grief, both the normal kind and complicated grief, so that they can stop the dis-anniversaries that may have become an all-too-common theme in their lives. Grief and loss is one of the most common issues that unites most of the clients I have helped in group and individual therapy settings, and the vast majority of people I’ve worked with in my individual clinical practice who have sought help for their grief and loss issues have walked away with this issue behind them. If you or a loved one is suffering from these dis-anniversaries, I encourage you to call me at 512-374-0100, fill out the form below, or email me at scott@scottkampschaeferlcsw.com to get a free 15-minute phone consult about how I can help you to get grief behind you as well!